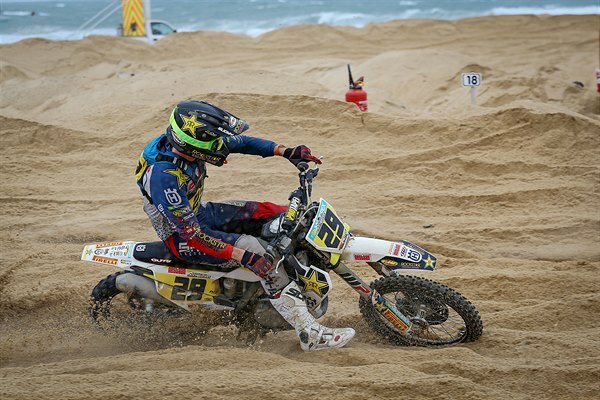 After picking up a foot injury last weekend at round three of the championship, Martens was unsure of how things would go in the deep, sandy conditions at Ronde des Sables. A slow start saw the Husqvarna rider boxed in at the end of the main straight before he exited the first corner outside the top 20. Quickly settling into a fast rhythm, Martens began to work his way through the traffic and up the leader board. Although at times riding tentatively in heavy traffic to protect his injury, he showed good speed to power his way inside the top five. Pitting early for a fresh set of goggles, he continued to work hard on the tough and testing track. Closing in on Jeffrey Dewulf towards the end of the two-hour and 30-minute race, a crash prevented Martens from challenging for an eventual podium result and he had to be content with fourth.